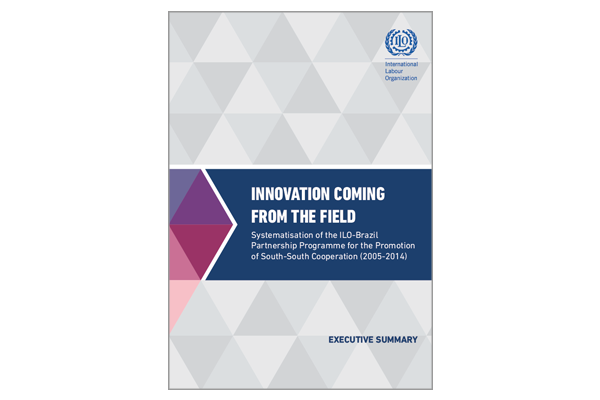 This study describes and analyses the experience of the ILO-Brazil Partnership Programme for the Promotion of South-South Cooperation since its inception in 2005, its results and its current prospects. The study is not intended to cover all forms of South-South cooperation (SSC) that the Brazilian government has implemented in partnership with the ILO in this period, but to systematize the actions undertaken under the Programme. To this end, it is part of an effort to identify lessons that can be important for the ILO, Brazil, partner countries, tripartite players and other stakeholders, with a view to consolidating and advancing this initiative, as well as encouraging future South-South cooperation and triangular cooperation experiments as instruments to promote decent work.